Check out this list below for some great new reads! These titles are recommended by Charnaie Gorden on readbrightly.com. On a simple trip to the park, the joy of music overtakes a mother and daughter. The little girl hears a rhythm coming from the world around her- from butterflies, to street performers, to ice cream sellers everything is musical! She sniffs, snaps, and shakes her way into the heart of the beat, finally busting out in an impromptu dance, which all the kids join in on! 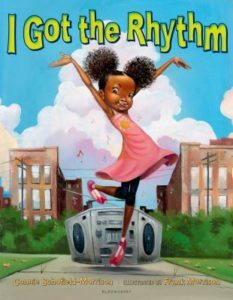 Award-winning illustrator Frank Morrison and Connie Schofield-Morrison, capture the beat of the street, to create a rollicking read that will get any kid in the mood to boogie. What happens when your BFF becomes your EFF . . . EX-Friend-Forever? 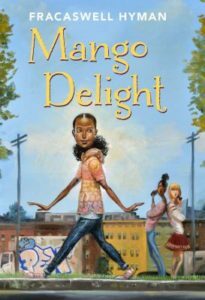 When seventh-grader Mango Delight Fuller accidentally breaks her BFF Brooklyn’s new cell phone, her life falls apart. 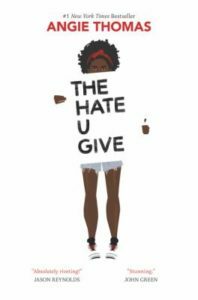 She loses her friends and her spot on the track team, and even costs her father his job as a chef. But Brooklyn’s planned revenge–sneakily signing up Mango to audition for the school musical–backfires when Mango not only wins the lead role, but becomes a YouTube sensation and attracts the attention of the school’s queen bee, Hailey Jo. Hailey Jo is from a VERY wealthy family, and expects everyone to do her bidding. Soon Mango finds herself forced to make tough choices about the kind of friend she wants to have . . . and, just as important, the kind of friend she wants to be. 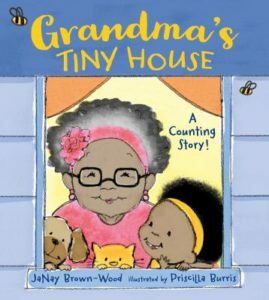 This sweet, rhyming counting book introduces young readers to numbers one through ﬁfteen as Grandma’s family and friends ﬁll her tiny house on Brown Street. Neighbors, aunts, uncles, nieces, nephews, and grandkids crowd into the house and pile it high with treats for a family feast. But when the walls begin to bulge and no-body has space enough to eat, one clever grandchild knows exactly what to do. Where there’s a will there’s a way when families grow and come together. 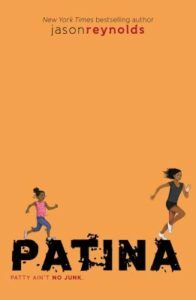 A newbie to the track team, Patina must learn to rely on her teammates as she tries to outrun her personal demons in this follow-up to the National Book Award finalist Ghost by New York Timesbestselling author Jason Reynolds. Ghost. Lu. Patina. Sunny. Four kids from wildly different backgrounds with personalities that are explosive when they clash. But they are also four kids chosen for an elite middle school track team–a team that could qualify them for the Junior Olympics if they can get their acts together. They all have a lot to lose, but they also have a lot to prove, not only to each other, but to themselves. Juana loves many things — drawing, eating Brussels sprouts, living in Bogotá, Colombia, and especially her dog, Lucas, the best amigo ever. She does not love wearing her itchy school uniform, solving math problems, or going to dance class. And she especially does not love learning the English. Why is it so important to learn a language that makes so little sense? 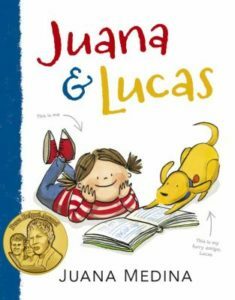 But when Juana’s abuelos tell her about a special trip they are planning–one that Juana will need to speak English to go on–Juana begins to wonder whether learning the English might be a good use of her time after all. Hilarious, energetic, and utterly relatable, Juana will win over los corazones — the hearts — of readers everywhere in her first adventure, presented by namesake Juana Medina. 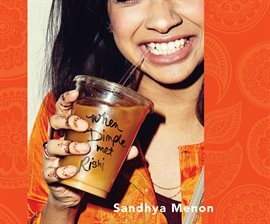 Now that Dimple Shah has graduated, she’s ready for a break from her family – especially from Mamma’s inexplicable obsession with her finding the Ideal Indian Husband. Ugh. But Dimple knows that her mother must respect that she isn’t interested in doing that right now – otherwise she wouldn’t have paid for her to attend a summer program for aspiring web developers, right? Rishi Patel is a hopeless romantic, so when his parents tell him that his future wife will be attending the same summer program as him – during which he’ll have to woo her – he’s totally on board. Because as silly as it sounds to most people in his life, Rishi believes in the power of tradition, stability, and being a part of something much bigger than himself. Although their parents hadn’t planned suggesting the arrangement so soon, when their kids signed up for the same summer program, they figured, why not? This title is available electronically from one of our e-resources, Hoopla! Click here to check it out!